There are many companies in the KT8 area who claim to offer you the best removal services at the best prices. You have not, however, heard what we have on offer, and how it is miles above the other offers. We at Moving Service are in first place in the moving company league, and we aim on staying there by giving you the best of whatever you need. Moving to Hampton Wick, KT1 with us can be a breeze, both financially and time-wise, so there's no need to continue searching for the ideal company. Call us on 020 8746 4402 to get e free quotation with no obligation required! How Broad Is Our Range of Moving Services in Hampton Wick? Broader than any other company's, that's for sure! We offer removal packages that do not exist elsewhere in KT1, and that is because we are constantly creating new services to suit each and every customer. We do have our main services which are available and necessary for everyone. Services such as packaging and same-day services are some examples of our great work. You can have your items neatly packed and moved by our skilled movers in Hampton Wick, KT1 at short notice! In addition, if you need a customised removal service which nobody else can provide, get in touch with Moving Service and we can create something for you there and then. Act now and call us on 020 8746 4402! Removals to KT1 have just become much easier! What Our Hampton Wick Moving Experts Do For the Good Of the Environment? As leading, contemporary movers, we have the leading contemporary issues at heart. Protection of the environment is, of course, a main concern, and so we have created some great eco-friendly services. When carrying out your removals to KT1, we take the shortest routes to and from your home or business in Hampton Wick to reduce fuel emissions. We also use only recyclable materials for your wrapping and packaging, which can be safely and easily disposed of. All of this comes entirely free of charge! Consider it just part of our commitment of the environment! This is one of the things that make us a great removal company! We make removals to Hampton Wick, KT1 green and cost-effective! Situated on the banks of the river Thames, the area of Hampton Wick belongs to the London Borough of Kingston upon Thames and holds a population of around 10,000. Most of this area is dominated by stretching plains and parks, which feature Bushy Park, The King’s Field and the Royal Paddocks, with other scenic attractions nearby in Hampton Court. This area stretches west to form the larger area of Teddington, and across the river to the east is Kingston and Ham. There are some retail stores and pubs / restaurants, though the area is predominantly residential. The area also has its own railway station. How Can Our Prices for House Moving in KT1 Benefit You? For your house removals to Hampton Wick, KT1 we try our best to cut your price-tag down to the smallest possible size. Today, saving money is more important than ever, and so we come equipped with more special offers and discounts than any other removals company. 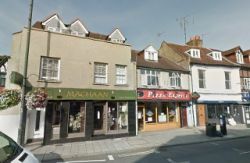 By calling on us for the job in Hampton Wick KT1, you can tell us what you need and we can respond with a tailor-made package or offer suited to your budget. We offer flexible moving services because we care, and we also understand that getting the perfect service can be both difficult and expensive. So call us on 020 8746 4402 for whatever relocation service you need or whatever your budget is. Lowest price, guaranteed!